Would you recommend Spotify Year in Music to a friend? I really want this to work, but it isn't. I've tried two operating systems and three browsers on each. Edit: Finally works and it's amazing! Yeah, this isn't working for me either. 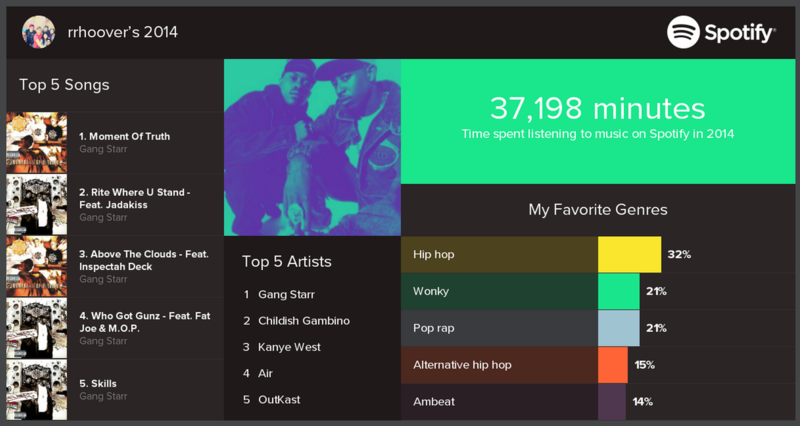 @rrhoover I spent 62,000 minutes streaming music last year somehow! It's working for me now! I spent 28 days (40,913 minutes) this year listening to music on Spotify. The best music apps for you on Product Hunt.Discover the best Spotify integrations on Product Hunt.